The science and art of homeopathy embody what many people envision as a 21st century medicine. The word “homeopathy” comes from the Greek. It means: “similar suffering” (homeoi = similar; pathos = suffering). When asked about a definition for health, many people will simply say that it is the absence of disease. However, health is not just a state of being – it is a dynamic process. And disease is individual – it is the dynamic alteration of the living whole expressed through symptoms. In homeopathy, it is not the symptoms of a disease that are treated, but rather the living whole, because when you have a toothache, for example, it affects you as a whole person and not only your tooth. By contrast, conventional medicine seeks to treat the symptoms. However, while the symptoms often disappear after treatment, the vital force does not disappear. It will find another outlet. Healing cannot truly happen if the vital force is not healed. Homeopathy is a system of medicine that treats the vital force. Treatment seeks to complement the body’s own healing energies by assisting the natural processes of the body in order to allow the body to heal itself. The person is treated as an integrated whole, taking into consideration not only the physical symptoms, but also the person’s mental and emotional state. Hippocrates already said during the 4th century B.C. : “in medicine we must pay attention not to plausible theorizing but to experience and reason together”. He urged treatment of the whole person, not just the symptoms, and to encourage the body’s own healing abilities. Hippocrates’ emphasis upon observation and practical results reinforced the ideas of the empiricist school of philosophy, which held that theories about the nature of the world and the universe, mathematics, and philosophy should be subordinate to observable reality and should be used to help describe what we perceive with our senses. Since the cause of disease cannot be known in the empiricist’s view, there is no classification of disease as diseases are infinite in number and unique to each individual. The totality of symptoms is observed. It is this school of thought which has strongly influenced homeopathic medicine. Allopathy, or conventional medicine, on the other hand, is majorly influenced by rationalism, a world view developed by the Greek philosopher Plato that is based upon pure reason, dissociated from any need to observe nature for verification of theory; material reality was mistrusted as a source of illusion, deception, and error. Allopathic medicine seeks to control the natural processes of the body in order to eliminate disease. The founder of Homeopathy was Christian Friedrich Samuel Hahnemann (1755-1843), a physician born in Germany, who became disenchanted with the medicine of his time which involved techniques such as blood letting and purging using enemas, laxatives and emetics. As a linguist with knowledge of many ancient and modern languages, Hahnemann made a good deal of his living by translating scientific and medical texts. When in 1789 he translated the Materia Medica by William Cullen, who was one of the leading physicians of the era, he first commented on the general applicability of the Law of Similars. At one point in the book, Cullen ascribed the usefulness of Peruvian bark (cinchona) in treating malaria to its bitter and astringent properties. Hahnemann disputed Cullen’s explanation in his translation, asserting that the effectiveness of Peruvian bark must derive from some other factor, since he noted that there were other substances and mixtures of substances decidedly more bitter and more astringent than Peruvian bark that were not effective in treating malaria. He then experimented by taking repeated doses of this herb until his body responded to its toxic dose with many of the symptoms similar to malaria. Consequently, he concluded that the reason why this herb was beneficial was because it caused symptoms similar to those of the disease it was treating. This led Hahnemann to codify the Law of Similars into a systematic medical science, marking the beginnings of a new system of medicine. In 1810, Hahnemann published the first edition of the Organon, the book in which he explained definitely what homeopathy is. He published five editions during his lifetime and the final, sixth, edition was published in 1921. This is the edition that is the basis for homeopathic teaching. It contains 291 aphorisms in total, explaining among others the methodologies of case-taking, remedy selection, remedy preparation and case management. Homeopathy first came to America in the mid 1800’s, became the second most practiced healing art by public demand, and then was virtually destroyed by Big Pharma and its allies, the AMA (American Medical Association) and the practitioners of modern (allopathic) medicine. Thus, because of the self-interest of just a handful of people, an allopathic medical monopoly was created. However, in the last 20 years, there has been a strong resurfacing of homeopathy, as it has become the fastest growing field of integrative medicine in Canada. The spring of 2007 marked a historic moment in the evolution of the Homeopathic profession in the province of Ontario. The Homeopathy Act, 2007 legislated and enacted Homeopathy as a new Regulated Health Profession in Ontario. At its core, homeopathy is based on the idea that each person has a vital force, a resonating frequency. This vital force is basically the energy or natural essence of the person. It maintains the defence mechanism and homeostasis. It is an energy field that integrates the mental, emotional and physical planes. If one plane is stimulated, it can affect the other two planes. Hahnemann believed that it is precisely this energy/vital force, which keeps each individual in line. Living matter has a fundamental mysterious energy that makes it very different from inorganic matter. Without this vital energy, the cell, or the whole body, becomes inanimate and is dead. It is only when the vital energy is present that there is a living organism, capable of physical action and of the exercise of mental powers and ability to take hold on the spiritual forces. The nature of energy is dynamic, and this dynamis penetrates every particle, every cell, every atom of the human economy. The vital force responds dynamically in health and disease. In the simplest terms, when you are ill, according to homeopathic philosophy, your frequency changes and symptoms occur as a result of your body trying to restore you to a healthy frequency. The symptoms serve as the means by which restoration of health can be achieved. The very symptoms that allopaths suppress are the ones the body uses to get well and that a homeopath surveys to find the appropriate remedy to help the body heal. Homeopathy is therefore a system of medicine that treats the vital force, not symptoms – the symptoms are secondary. As such, disease is considered a disturbance of the internal vital force and therefore, if the vital force is affected, the whole is affected. Thus, if this is the force that holds the organism together as a harmonious whole, then it is this force that must be reached with our medicines. Similia Similibus Curentur: let similars be cured by similars. The principle that like shall be cured by like, or Similia similibus curentur has been recognized by Hippocrates and Paracelsus and used by many cultures, and became the basis of Hahnemann’s formulation of the homeopathic doctrine: the proper remedy for a patient’s disease is that substance that is capable of producing, in a healthy person, symptoms similar to those from which the patient suffers. Experimenta In Homine Sano: experimenting on healthy humans. 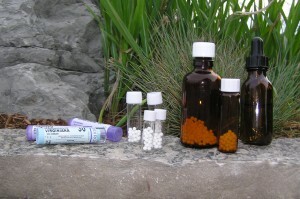 To find out what it cures, each homeopathic remedy is proven by administering it repeatedly to healthy people until their health is disturbed and symptoms are produced.The pathogenesis of substances is then recorded in order to have an exact Materia Medica ready and proved for administration in sickness. Unitas Remedii: only one remedy at a time. Action/Counteraction. By echoing the disease state back, it increases the chance of moving away from it. Similar Vibration. By confronting disease energy with similar energy, the chance that it will be neutralized/replaced increases. Information. By informing the body about what’s going on, its attachment to the disease is loosened and it is reminded of its true original self — its non-diseased state. Optimum dose / minimum dose. Due to the dilution and succussion of remedies, the administered doses are small and consequently, there is no danger of any long term side effects. Homeopathic medicines are derived from plant, mineral, or animal sources, or from healthy or diseased tissue. Doubt about the effectiveness of the small doses is understandable, but evidence of it exists from basic science, controlled clinical studies, epidemiological data, clinical outcome trials, and historical review of the field. Homeopaths are the first to recognize that a healing response will only be initiated when a person is hypersensitive to a specific medicine. Unless the totality of symptoms experienced matches those the medicine has been found to cause when given in toxic doses, small doses of simply any medicine will not elicit therapeutic results. Most homeopathic remedies are made by diluting 1 part of the original medicinal agent to 9 or 99 parts highly purified double-distilled water, which enables the substance to solely infiltrate the water. The medicinal solution is preserved in an 87 % alcohol/water solution. After the mixture is vigorously stirred or shaken, the solution is diluted again 1:9 or 1:99 and vigorously stirred. This process of diluting and stirring is repeated 3, 6, 12, 30, 200, 1,000, or even 1,000,000 times. Homeopathic medicines are not only extremely diluted, they are also extremely potentized. Potentization refers to the specific process of sequential dilution with vigorous succussion. The theory is that each consecutive dilution in conjunction with the process of succussion infiltrates the new double-distilled water and imprints upon it the fractal form of the original substance used (fractal refers to the specific consecutively smaller pattern or form within a larger pattern). Besides the concept and principles mentioned above, what sets homeopathy apart from conventional, allopathic medicine is its thorough case taking technique, for which the homeopath takes a minimum of two hours at the time of the initial visit. While it was mentioned above that homeopathy treats the vital force rather than the symptoms, it is still crucial that the homeopath has a thorough knowledge of the symptomatology from a medical point of view in order not to confuse the symptoms of the disease with those characteristic of the patient. For example, for a patient suffering from Multiple sclerosis (MS), an autoimmune disease which affects the central nervous system (CNS) leading to demyelination, symptoms such as fatigue or intolerance to heat are of no relevance to the homeopath as these symptoms are typical of the disease. Only the more characteristic information from the patient which is not relevant to the disease will lead to the curative remedy, in this example, weakness every day at noon, or annual pain in the abdomen at the first hot weather. It is the symptoms from the source of the inner self, unrelated to pathology, that are of utmost importance. As such, through its deep case taking and corresponding selection of a remedy which encompasses the totality of symptoms, homeopathy, unlike any other modality (with the exception of acupuncture and energy healing), treats patients at the deepest possible level, effecting cures not only at the physical, but at the mental and emotional levels too. 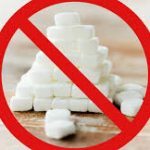 “Deviating from the trend of rejecting homeopathy treatment and medicine as mere placebos, the World Health Organization (WHO) has declared that homeopathy is the second-most used medical system internationally. ’Clinical trials have proved that this method of treatment has been successful if the practitioners have taken into account the individual holistic nature of the patient before opting for homeopathy.’” says Dr. T N Sreedhara Kurup, Assistant Director In-Charge of the Central Research Institute for Homeopathy. “..[Homeopathy] cures a larger percentage of cases than any other method of treatment and is beyond all doubt safer, more economical, and the most complete medical science. “Mahatma Gandhi – Homeopathy is now the most popular form of medicine in India. “….You may honestly feel grateful that homeopathy survived the attempts of the [orthodox physicians] to destroy it.” Mark Twain (author) Harper’s Magazine. February 1890. By adopting a world-view derived from complex systems theory in which the whole equals more than the sum of its parts, a new perspective for medicine and health care emerges. Vitamins and minerals are essential to life. They contribute to good health by regulating the metabolism and assisting the biochemical processes that release energy from digested food. Vitamins are considered micronutrients because the body needs them in relatively small amounts compared with nutrients such as carbohydrates, proteins, fats and water. Foods and minerals are needed to absorb vitamins. Having the proper balance of vitamins and minerals is very important. 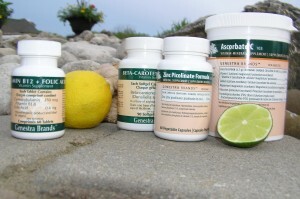 They are essential for growth, vitality, health and resistance to disease. Enzymes are essential chemicals that are the foundation of human bodily functions. They are catalysts (activators) in the chemical reactions that are continually taking place within the body. As coenzymes, vitamins work with enzymes, thereby allowing all the activities that occur within the body to be carried out as they should. Orthomolecular medicine is the treatment of disease using vitamins in large quantities to act therapeutically or in some cases replace an existing deficiency. Minerals are the basic constituents of all living matter. They are needed for the proper composition of body fluids, the formation of blood and bone and the maintenance of healthy nerve function. They are also used in the regulation of muscle tone, including that of the muscles of the cardiovascular system. Like vitamins, minerals work as coenzymes, enabling the body to perform its functions, including energy production, growth, and healing. Because all enzyme activities involve minerals, they are essential for the proper utilization of vitamins and other nutrients. 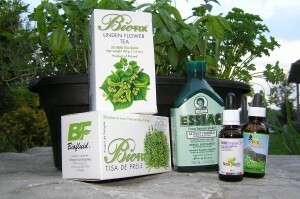 Herbs are used in all cultures as healing aids. They support the body’s inherent healing capacity by acting as tonics, being nutritive, eliminative and supportive for overly taxed organs. In herbal supplements the crude substance is used to treat a condition at the physical level. Theoretically, botanical medicines have similar therapeutic uses to the medicines that exist in the conventional drug world but with a fraction of the potency and with the bonus of a “holistic” action. This means that the plants’ active ingredients are not the only ingredients that play a role in healing. The majority of today’s herbal remedies and photo chemicals exhibit varying degrees of therapeutic value. While some, such as ginkgo, valerian, and saw palmetto seem genuinely useful, others such as monkshood and nightshade can actually be dangerous. The science and art of homeopathy embody what many people envision as a 21st century medicine. Homeopathy is a medical approach that respects the wisdom of the body. It utilizes medicines that stimulate the body’s own immune and defense system to initiate the healing process. In a sense, the role of homeopathic remedies is similar to that of enzymes and hormones in controlling homeostatic balance within the organism to maintain a functioning harmony between all parts. Thus, the minute doses of homeopathic potencies act as a catalyst to stimulate the body’s natural defense mechanism. Homeopathic medicines are individualized according to the totality of the person’s physical, emotional, and mental symptoms. While this medical approach is widely recognized to be safe, it can be potentially very effective in treating the new types of diseases that are afflicting us now and will affect us in the 21st century.